Another week down, which means the end of the season gets that little bit closer. 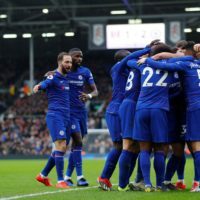 That does mean though that the various races around the European leagues are getting that little bit more spicy, plus the domestic cup competitions are getting damn interesting…but while we wait it out until next week, how about we check out the hottest boot spots from this week’s football action? 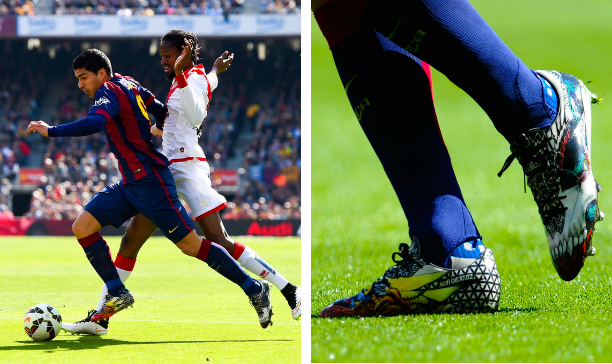 From boot switches to new boots and custom boots, check out the big boot spots that will have the football world talking this week. A pretty interesting boot switch here. Despite being a Predator man ever since he made the move from Nike to adidas, Torres has made the unexpected move to the new F50 adiZero. Torres has always been the sort of player to prefer slightly heavier boots over speed boots (and for that matter, seeing Torres not wearing a white pair of boots is a sight to behold), which is why we think this switch is certainly something out of the blue. Torres in the F50 does provide a rather nice match with his Atletico Madrid home kit too, which is always a nice bonus. I will be honest here, I have never heard of the team Go Ahead Eagles until today when I was putting the boot spotting together…but hey, it has given us a decent boot spot so I am not one to complain! 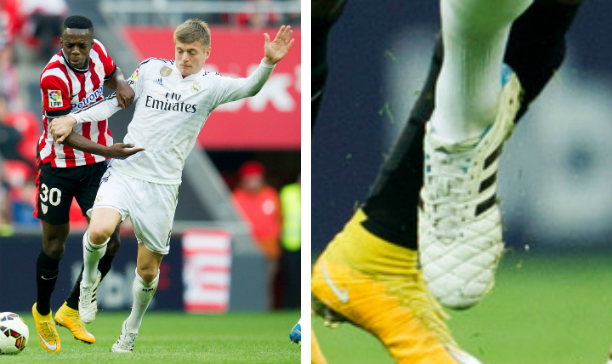 Mawouna Amevor has taken the permanent marker to his Soar/Volt/Black Tiempo Legend Vs, leaving him with a rather (shoddy) blackout pair of boots. We do not know the situation regarding Amevor and a contract with Nike, but it could be a case of Amevor perhaps shopping around for a new pair boots with another company. The MLS started up this weekend, and it meant Orlando City fans finally got to see Kaka in their colours in an official match since he signed for them in early July last year. 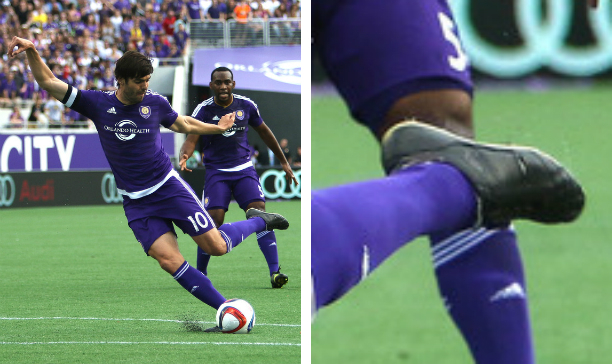 While we saw Kaka wearing your old school Copa Mundial (bar the tongue being cut off) a few weeks ago, Kaka has once again customised his Copa Mundials. 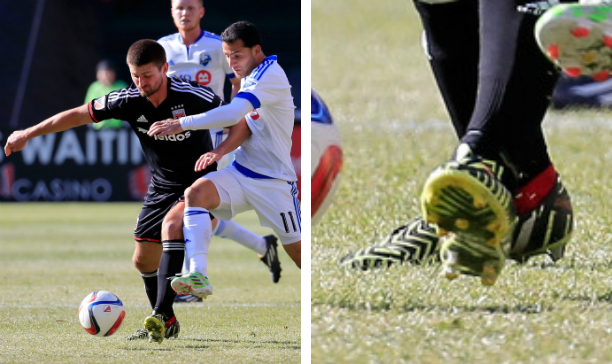 This time the Brazilian has blacked out his boots, could it be Kaka looking for one more endorsement deal? It is hard to say, but I would think someone like Under Armour or New Balance would love to see the former Ballon d’Or winner on their boots. We will stay in the MLS once again for our next boot spot, and we come across a Predator Instinct II colourway that we hardly ever see hit the pitch. In saying that though, there have been that many Predator Instinct colourways that it is hard to keep a track of them all…regardless, Perry Kitchen wore the Light Flash Yellow/White/Dark Grey Predator Instinct II colourway, with Kitchen being the first player we have seen wearing the colourway. So we are going out on a limb here and saying that Memphis Depay is wearing Under Armour boots here. 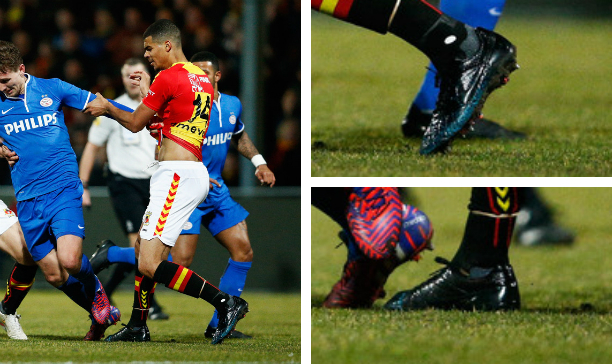 Even though we can hardly make out a single thing about his boots, we do know the PSV Eindhoven winger did sign on with Under Armour just last week, so we are going to say that Depay is wearing an unreleased Under Armour boot. The boot looks so much like the F50 with it’s low profile, streamlined design, so we have a feeling this could be Under Armour’s new answer to the speed boot. 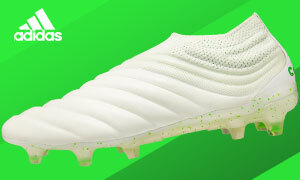 So the Nike ‘Highlight Pack’ of boots was released for Champions League players. Well, Rudy Gestede is in the Champions(hip), so that is close enough hey? 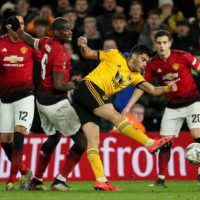 The Volt Mercurial, currently being rocked by the likes of Cristiano Ronaldo, is certainly a flashy boot, and there is perhaps something about it which Rudy Gestede is a fan of. 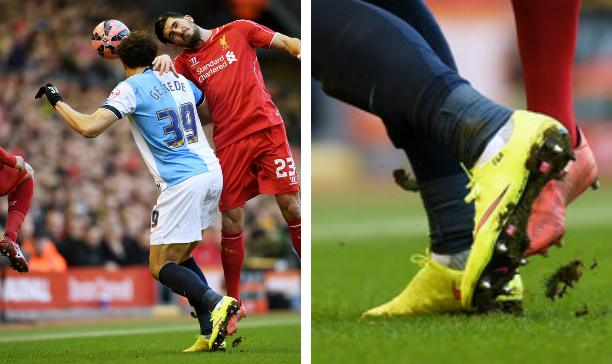 And who can blame him, everyone likes a bit of volt on their boots right? That is it for the boot spotting today, what was your favourite spot this week? Share your thoughts in the comments section below. Torres wore the Vapor for quite a while before going into the Total 90 series, which evolved into the Laser.